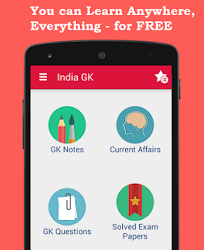 19, 20 November 2017 Current Affairs MCQs, Quiz, Questions: Current Affairs for November 2017, Daily Multiple Choice Questions (MCQs) for India GK, World GK and current affairs with Collection of daily objective type Question by www.Indiagk.net based on General Knowledge (GK) and General Science (GS) Questions for UPSC, State PSC, SSC, Police exam, Railway exam, SBI, Bank PO, IBPC, SSC, LDC, UDC, Army, Airforce, Navy, Coast Guard, Bank Clerk, TET and all entrance examination with current affairs News, Multiple Choice Questions (MCQs) available on Website www.IndiaGK.net and Android Apps with daily updates:. Shagun Chowdhary is associated with which sports? Who wins Miss World 2017 title? Which country to host the Rugby World Cup 2023? World Toilet Day is being observed on which date? Which country was named as the World’s Richest Country according to per capita income? Explanation: Based on the per capita income of its people, Qatar has been named the world's richest country as per the recent International Monetary Fund (IMF) report. The per capita GDP (gross domestic product) of Qatar is over Rs. 81 lakh. With per capita GDP of over Rs. 38 lakh, the United States is at No. 12. India, with a GDP of over Rs. 4 lakh per person, is not even in the top 100.
Who will get Indira Gandhi Peace Prize 2017?